I can’t believe my second month is coming to a close! “Adding the Agency” was a big adjustment to my daily, weekly and monthly schedule – but I’m getting the hang of it. 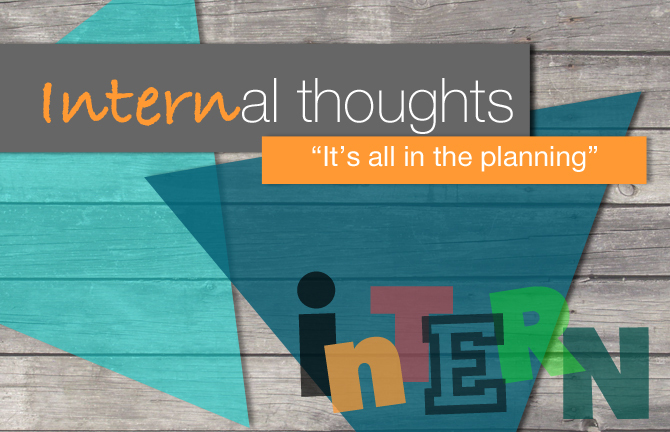 Being an intern, full-time student, Resident Assistant and staying involved in extra-curricular activities has taken some adjustment (and multiple planners!). So what have I been up to? Well if you’re reading this – you know! I’ve been given the awesome opportunity to represent our agency in a creative and tangible way that anyone can view: the Array Blog. It’s pretty awesome. I can share with friends/family, professors and other students that are struggling to find what to blog about. Being given the ‘keys to the social media kingdom’ has been really cool! Each week that passes, I’m gaining more content for my portfolio – and having my name on our website as a content creator really could give me a competitive edge when looking for jobs after graduation. I can say, “I’ve been published!” and future employers can get an idea of my writing style before they even meet me or see my work. I don’t spend all my time typing behind a computer screen though. This month I also attended a media planning meeting focusing in a website redesign. It was so interesting to see how much goes into a nice website. The complexity of a website is a lot more than I expected and I got to see how it’s done in a step-by-step, broken-down process as we went through it with a client. I have a renewed appreciation for well-designed websites. I even have a new appreciation for poorly designed websites – it’s a difficult process and not everyone has an agency helping them out! I’ve also been given the chance to do some event planning for our agency as my ‘semester project’! As a Resident Assistant – I’m used to event planning, but I’m excited to try it out in an agency structure (this time I’ll have professional designers to help me out!). So stay tuned, because we have some cool events being planned! Just last week, I went along with the Array team to the 2015 AAF Akron Amazing ADDY’s! It was an awesome time and Array won two awards! If you want to read more about the ADDY’s, check out our blog post from Tuesday. Array Creative is a really awesome place. Despite all the terrible weather we’ve been having, once I actually get to the agency – I’m sure to have a great time. The environment is very conducive to critical and creative thinking, and I love the space.